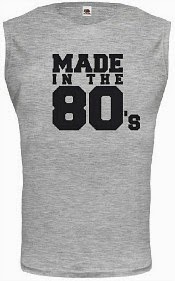 For a workout session you can't beat a vest top for practicality and also to look the part, but they're often called tank tops on shopping websites these days. ,However, when I was young (a very long time ago!) that term actually referred to a sleeveless pullover. 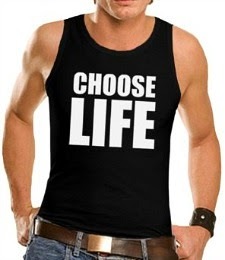 So, for this post I'm going to stick with calling them vest tops to avoid any confusion. 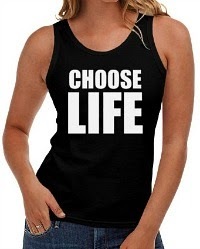 Back in 1984, Katherine Hamnett designed a "Choose Life" logo T-shirt, and after the deign was worn by George Michael and Andrew Ridgeley in Wham's 1984 video for Wake Me Up Before You Go Go, everyone wanted one - well, almost everyone! Of course, their are plenty more eighties designs to choose from, and this would be a rather short blog post if there weren't! 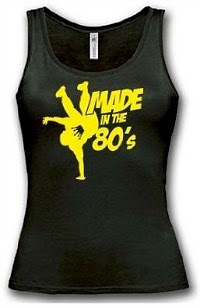 This Fruit Of The Loom, "Made In The 80s" logo top would make an ideal birthday gift, as well as being perfect for creating an 80s fitness look. 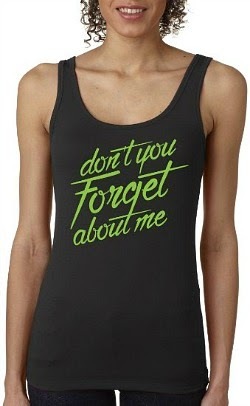 This ladies vest features a neon yellow on black design and is also available with a red logo. It's made from 100% cotton and is eco-friendly, too. Made from breathable, stretchy and soft material, this top features nine colour choices and sizes 8 to 16 are available. The price is under £10 including delivery, so it won't break the bank. 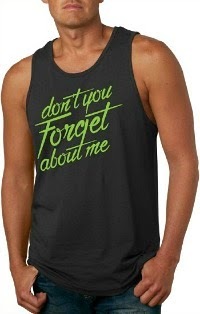 These tops would also make for a wonderful gift idea for a loved one, in the hope that the recipent will get the message!